Our last day in Colorado was a grumbly time searching for some place to sleep; instead finding it marked by hunters and cats looking for an easy kill. When it became too dark to look any further we finally decided to stealth camp on the non-existent border between national and private ranch land, which resulted in stiff necks and the iron pressed scent of cow dung . After all that Colorado had to offer, the final stretch through the San Juan forest was like being served a fortune cookie after a Michelin meal. 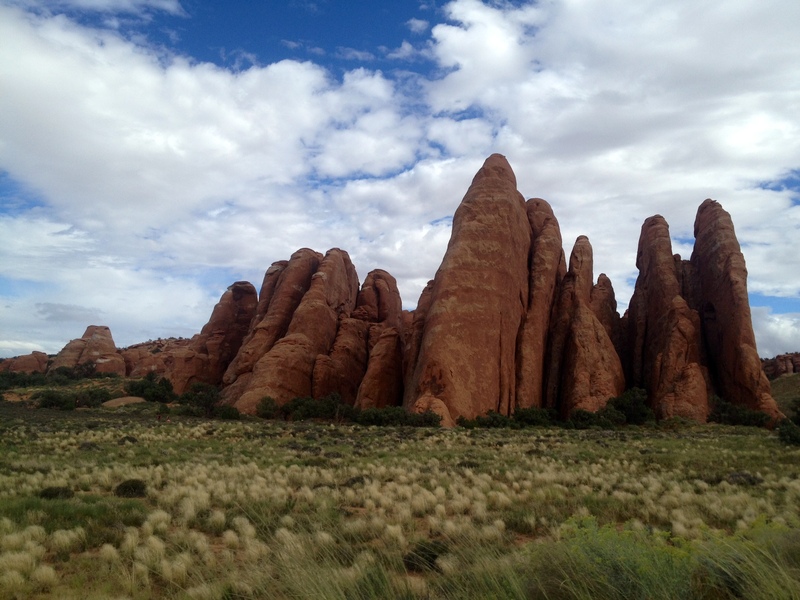 But, that’s all right, because we had Moab, Utah. 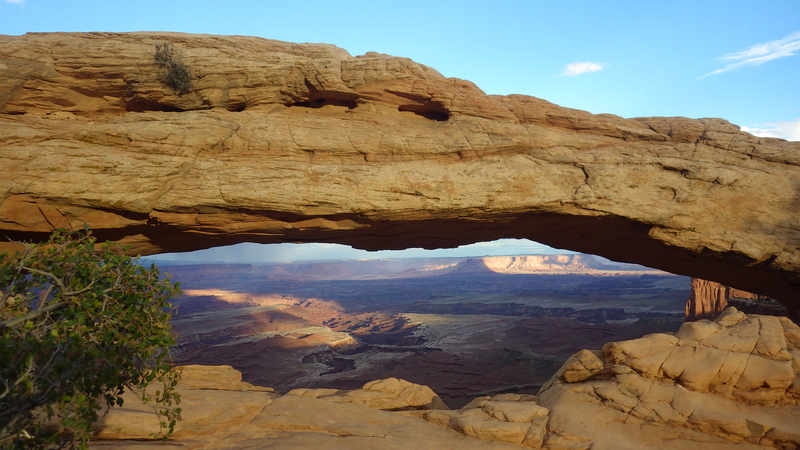 Moab, Moab, Moab – say it three times and it just sounds cooler. I expected Moab to be an oasis for people like us: vagabonds, transients, adventurers, nomads, road dogs, weirdos, whatever. It sucked. The few people that were around didn’t care for us or our dogs – and any person who doesn’t like dogs is a bad person. The gear stores didn’t care unless we came on a tour bus with twenty other “thrill seekers.” The barista didn’t care until I finally interrupted her conversation after 10 minutes. Maybe I’m being a major sourpuss, but I wasn’t feeling the good vibes. But, the one thing I would go back for is Lin Ottinger’s Rock Shop. Surround me with fossils, geodes, sand stones, dinosaur bones, petrified wood, so forth! 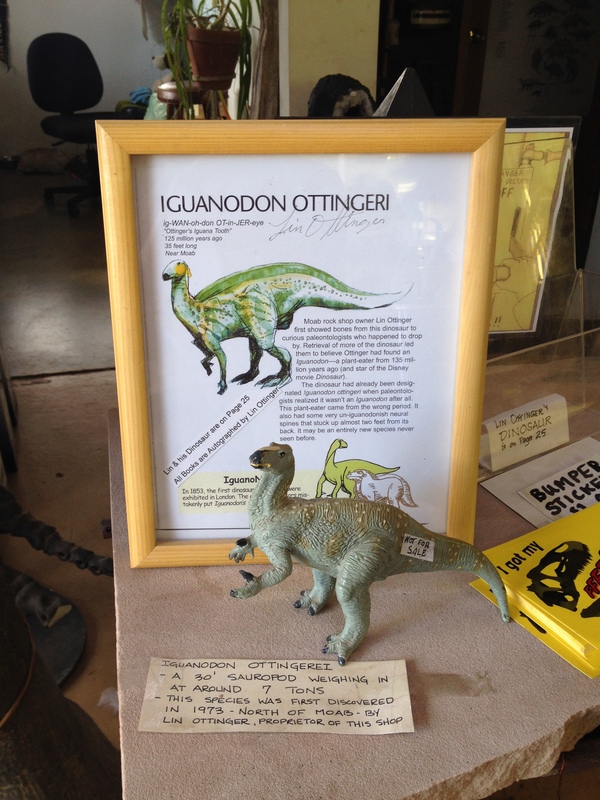 Let me melt in front of your uranium Sir Iguanadon Ottingeri! 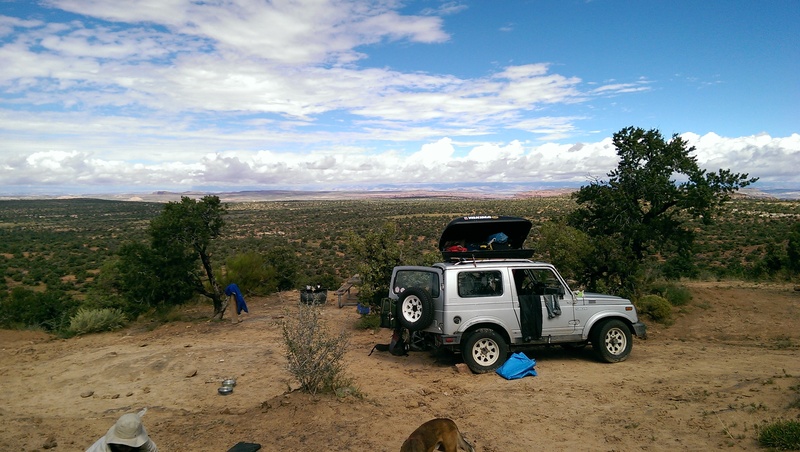 That night, we stayed at the Cowboy campground and chose the most isolated spot on the very edge of the canyon. Nothing was higher than us. 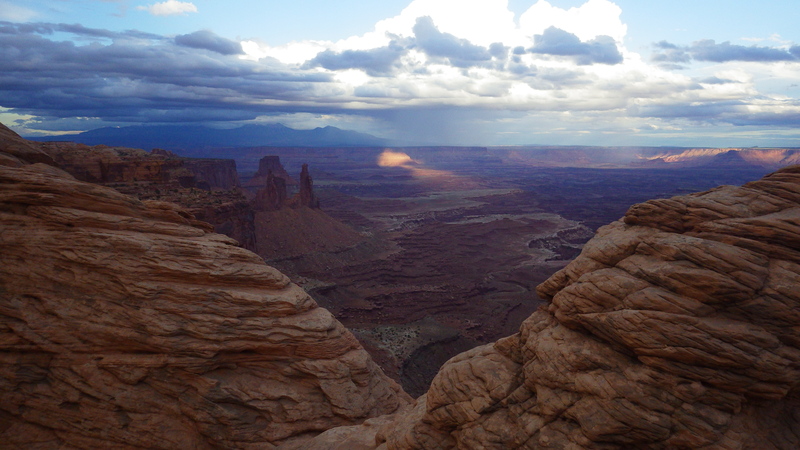 I was going to make hamburgers, we were going to sleep, and tomorrow, drive through Canyonlands’s gnarly 4×4 road. 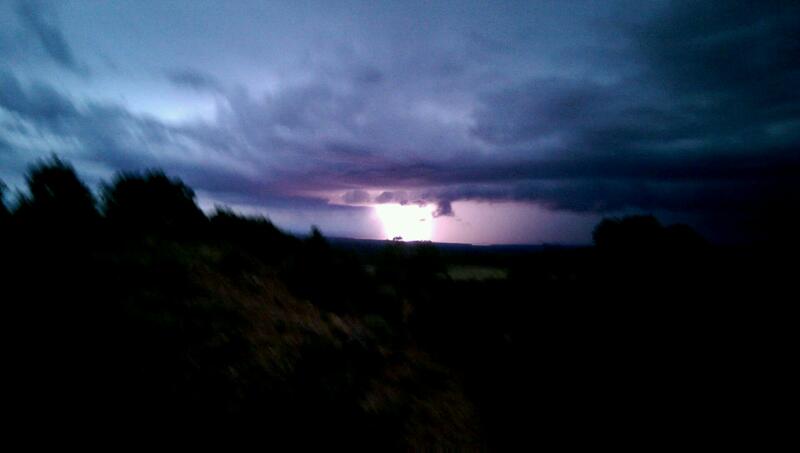 And, most importantly, we were going to watch that lightning storm stroll right past us as we sat on the edge of it. Then it didn’t. Damn it.